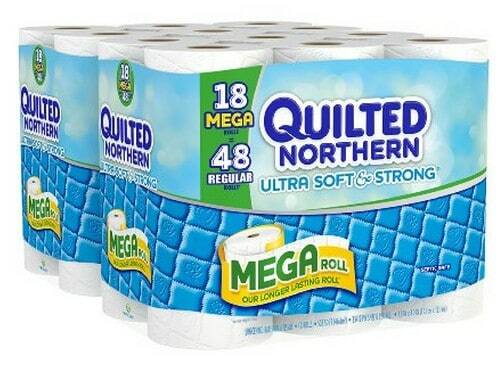 The Quilted Northern Ultra Soft and Strong Bath TissueQ, 36 Mega Rolls is on sale for $23.74 at Amazon right now when you choose Subscribe & Save. Clip the 30% off coupon found ont the page and pay only $16.61! That is only $0.17/regular roll! Shipping is free with all Subscribe & Save orders. If you're doing a lot of Amazon shopping now is the perfect time to sign up for your FREE 1-month trial of Amazon Prime. You'll get FREE 2-day shipping, FREE movie rentals, FREE television shows, and FREE ebooks through the Lending Library! Amazon Deals can change at any time, so make sure you double check the price before making your purchase. See all posted baby deals or all Amazon deals to save even more!